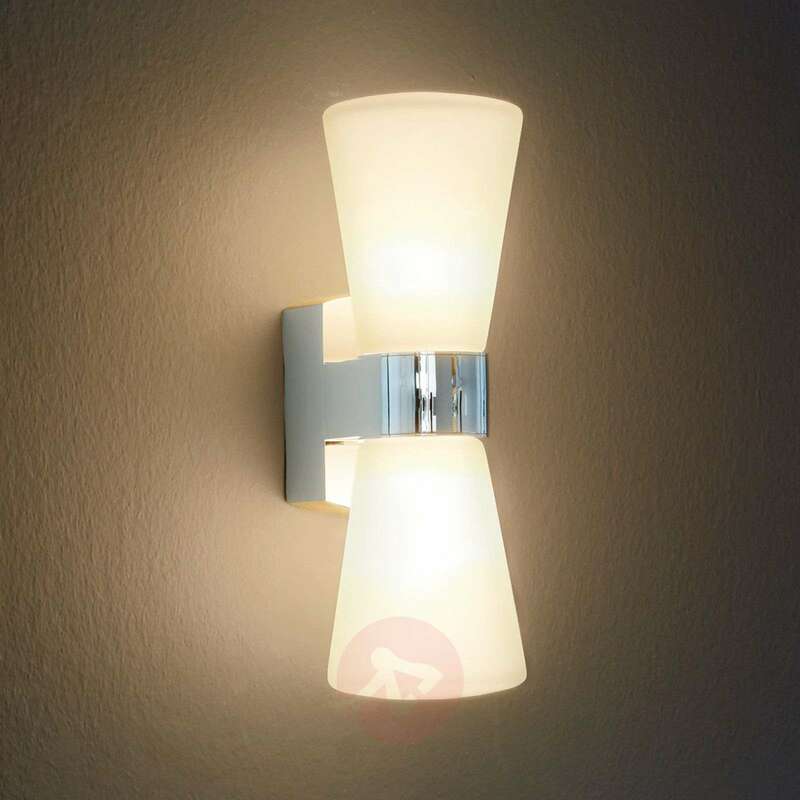 The Cailin wall light has a design that is modern and timeless, which means that you can use it in any number of spaces. It consists of two glass lampshades that are open upwards and downwards and are surrounded by the shiny chrome metal frame in the middle. The light shines upwards and downwards directly out of the shade, which creates a fabulous light on the wall. But the warm white LED light doesn’t just shine through the two openings, but also through the two satinised white shades. This creates a glare-free lighting atmosphere that illuminates the space in a wonderful way. Thanks to the IP44 rating, you can also use the light in your bathroom, since the electronics are adequately protected from spray water on all sides.